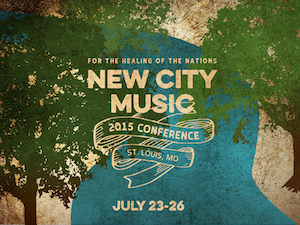 Who Is Coming to the New City Fellowship Music Con? Our church is participating in an exciting conference of music ministries who are committed to mission driven, multicultural music ministry. The conference is just two days in Chattanooga TN and it’s hosted by New City Fellowship in Glenwood. We’re bringing a few of our leaders and few of our up-and-coming leaders to both share and to learn with other ministries. Here’s a list of churches that I know of who have registered to participate (check out each church – how each is pursuing the same goals and mission as NCF. It’s so exciting!). 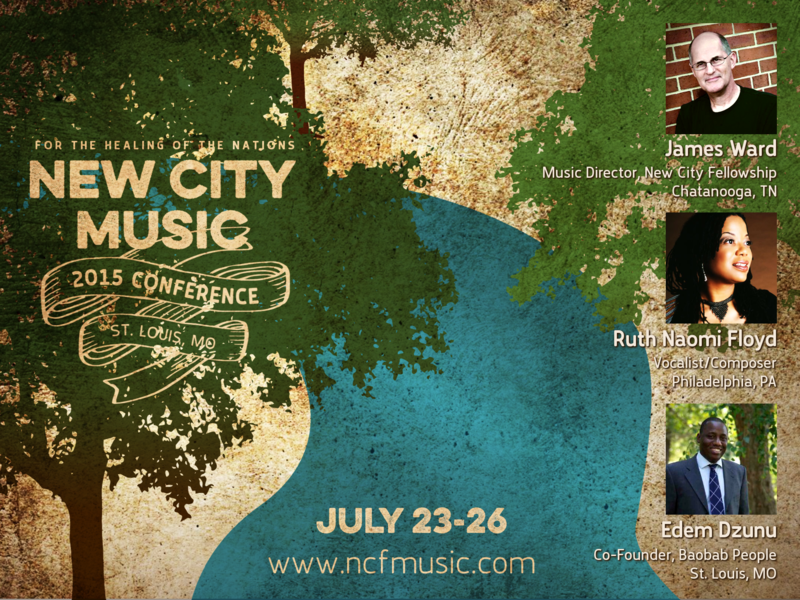 This August, our sister church New City Fellowship in Chattanooga TN is hosting a conference for churches that share a commitment to missional worship music that reflects cultural diversity. My dad, James Ward, is putting it together and my church, New City Fellowship in St Louis is hoping to send a group of our music ministry leaders as well. It’s a great opportunity to learn from each other, encourage each other, and build a network of churches that can support and encourage each other toward the common vision of every tribe and tongue and nation worshiping together in unity. Here’s a link for you to learn more. My cousin, Sam, (yep, “Sam Ward” is a recurring name in our family tree) is a worship music guy over in Fort Wayne, IN and has an excellent blog that you should all read called Worship360. Please refrain from writing comments about how weird it is that my family produces so many creative types and have a look at Sam’s questions and comments in response to the stuff I posted the other day. For me this question in the interview seems so odd. Why do we care about being recognized as Presbyterian? Don’t we care more about being recognized by a family resemblance to our big brother, Jesus Christ? And isn’t racial segregation one of the major signs of hypocrisy that make people reject the church? It’s true that if your town is all “X” and no “Y” then it would be silly to try to incorporate “Y” style music into your service. But what’s God’s universal will in this situation. Sam had an excellent post on his blog a few weeks ago about the difference between God’s universal will vs. God’s individual will (universal will=care for orphans; individual will=adopt an orphan.) God’s universal will is that we are all called to break down walls, be reconciled, and love our neighbor (and our enemy). How that looks for individuals will change. We have a sister church in Kenya, New City Fellowship in Nairobi, whose mission is to see Africans and South Asians reconciled in a worshiping community. That’s a unique vision that applies in Nairobi but would be kind of weird to attempt in Springfield, USA. 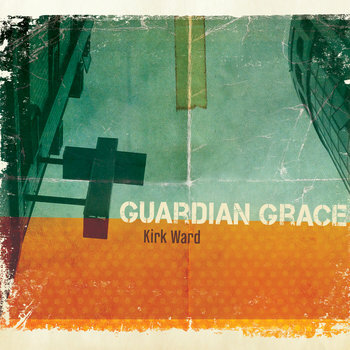 I believe that every church is called by God’s universal will to humbly and honestly look at themselves and decide if their music planning is intentionally building trust between diverse tribes of people or whether their music planning is just building up taller and thicker walls of division. Mercy, mercy mercy! We can only do this by grace. Sam, this is a profound statement. Reading through “Adopted For Life” I am growing in my own appreciation for how amazing the doctrine of adoption is for all of us. In fact, this is one of the strongest arguments for reconciliation. We are new creations in Jesus, a family by his grace! However, I don’t believe that our adoption creates a “color-blind” church. There’s a temptation to say that God doesn’t care about race. God made a beautifully diverse world that Revelation 7 shows us will be diverse even in the new heavens and new earth.